With over a million users worldwide, the popular drag-and-drop page builder, WPBakery Page Builder (formerly Visual Composer), has inspired a legion of developers to create loads of cool and useful addons and extensions. These expand the functionality of WPBakery and provide virtually unlimited possibilities when it comes to creating the WordPress site of your dreams. 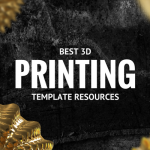 Here’re a list of the 20 best of these addons and extensions for 2019 to be found at CodeCanyon. Some offer a huge range of features within one powerful extension, while others provide just one specialised and targeted function. 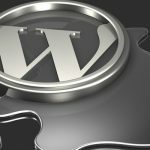 Some have been on the market for a while and have earned a reputation as the go-to plugins for users of WPBakery Page Builder, while others are newer to the market but have the potential to carve out their own unique following. Either way, you’re bound to find a plugin here that will answer your prayers… some of them, anyway. It’s no surprise that Ultimate Addons is one of the highest rated and best selling addons for WPBakery Page Builder. With 20 updates since its inception, this is an addon that works consistently to stay ahead of the competition and deliver a product that meets the needs of a wide range of designers. WooCommerce Extra Product Options helps you extend the functunality of your WooCommerce store by creating more product options, add conditional logic (within the form builder) and build a wide variety of forms. One of the top sellers at CodeCanyon, Composium is packed with a dizzying amount of features including a Google Font Manager with more than 810 fonts, over 70 CSS3 animations, and the option to use any WPBakery Page Builder element in a sidebar. In addition, when you download this extension, you also get a built-in downtime/maintenance manager for your site, which allows you to create a custom maintenance page. Massive Addons is an all-in-one extension that’s packed with enough features to make even the most demanding web designer happy. 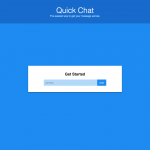 The latest version has incorporated a ton of user-suggested improvements. Most notably, it has integrated a feature called “container presets” which allow users to preset entire rows or columns. An oldie but a goodie, All In One Addons combines 64 different functions in one powerful tool that extends WPBakery Page Builder wonderfully. Video & Parallax Backgrounds is our favourite standalone add-on for adding video backgrounds as well as image parallax scrolling effects to your WordPress site. The plugin functions by providing row adjuster elements that you can add the background and effects to. You can also widen your rows into full-width, full-height or fullscreen rows. With over 700 addons and 30 predefined templates, Unlimited Addons is the largest add-on bundle available for WPBakery Page Builder (Visual Composer). 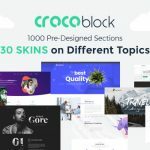 This mega-pack will help you build website headers and footers, or create pages or sections for team member profiles, testimonials and reviews, design simple sliders, carousels and banners, etc. Modal Popup Box comes bundled with CodeCanyon’s top-selling Ultimate Addons for WPBakery Page Builder but can also be bought as a standalone for those who are just looking for a popup feature. The addon allows you to add popups for a wide variety of purposes: opt-ins for email subscription, shortcodes, images, videos, contact forms, or social media widgets. Testimonials Showcase is designed specifically to help you display and manage your testimonials. It comes with several themes, colour schemes, and customisable options that will allow you to integrate the addon into your site seamlessly. Testimonials Showcase will have a broad appeal to businesses that need an elegant and easy solution to collecting and displaying customer feedback. Fast Gallery allows you to build a variety of photo galleries and insert them into your WordPress site. With its large selection of gallery types, layouts, and animation effects, this addon is an indispensable tool for image-rich sites. Earlier we mentioned Video & Parallax Backgrounds was our favourite stand-alone addon for adding video backgrounds as well as image parallax scrolling effects to your WordPress site. If you’re looking for a few other great effects as well, Video & Parallax Backgrounds now comes bundled with over 20 other fabulous plugins in one add-on called Super Bundle. The Image Hotspot with Tooltip comes bundled with another bestselling CodeCanyon addon, All In One Addons, but for those who don’t own that plugin, this standalone enables you to add a hotspot icon with a popup tooltip to any image on your site. The plugin may not be for everyone but will be of great value to photographers and e-commerce or educational sites. Modern WPBakery Page Builder Addons offers 45 fabulous elements and over 550 shortcode options and in just two years has become a powerful contender in the WPBakery Page Builder add-ons and extensions market. Team Showcase for WPBakery Page Builder is a specialised add-on for WPBakery Page Builder that enables you to add a team or staff member section anywhere on your website in different layouts. Though designed specifically for showcasing team members, Team Showcase can also be repurposed to display testimonials or other image and text content. Icon Box for WPBakery Page Builder does one thing very well: it provides users with over 450 Font Awesome Icons for use on their site. To make it easy to navigate all these icons, the Icon Box creators have designed a super easy system to find the icon you are looking for with a powerful integrated real time search. VCKit is a feature-rich collection of over 45 beautifully designed elements with highly customisable features. This handy addon continues to go from strength to strength every year. Calendarize it! is a feature-rich calendar for your WordPress site that can be used as a standalone plugin or an addon for WPBakery Page Builder. WP Post Modules is ideal for creating online magazine layouts, newspaper blocks, creative portfolio showcases, and regular blog feeds using a drag-and-drop interface. 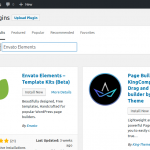 Created by the authors of the WPBakery Page Builder, Templatera is a WordPress template manager that allows users to create, manage and set access to templates based on user roles or content type. If you’re looking for a WPBakery Page Builder addon that will enable you to create price estimates that give clients an idea of the costs involved in your service or product, Cost Calculator might be the perfect plugin for you. Cost Calculator allows you to easily create quote or price estimation forms for your WordPress site. This list of 20 WPBakery Page Builder addons and extensions just scratch the surface of products available at CodeCanyon. So if none of them catch your fancy, there are plenty of other great options there to hold your interest. And if you want to improve your skills building WordPress sites, head on over to the site and check out the ever so useful free WordPress tutorials we have on offer.